The Punic Wars fought between Rome and Carthage account among the largest loss of lives and properties in the ancient times, with the Second Punic War alone contributing to over 600,000 casualties for these tussling Mediterranean powers. 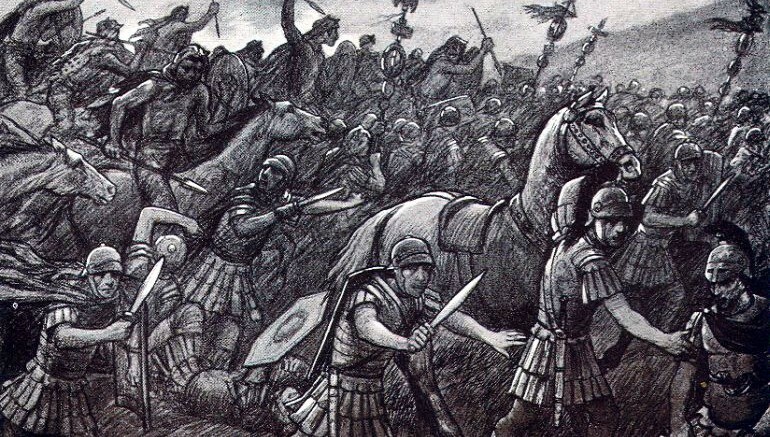 In fact, the Battle of Cannae fought in 216 BC, possibly resulted in the highest loss of human life in a single day in any battle recorded in history. In terms of sheer figures, the bloody day probably accounted for over 40,000 Roman deaths (the figure is put at 55,000 by Livy; and 70,000 by Polybius), which equated to over 80 percent of the Roman army fielded in the battlefield itself. And as for the Third Punic War, it was the city of Carthage that suffered tremendous afflictions in a 3-year long siege, with the vengeful Romans supposedly razing the entire settlement and sowing the soil with salt so nothing could grow again (though the latter part may be an embellishment on the part of 19th century historians). The situation in western Mediterranean after the Second Punic War. This brutal episode took place in 146 BC, and Carthaginians were struck down from the annals of history with over 50,000 of them being sold as slaves by the victors. The paltry remaining Carthaginian territories were unceremoniously annexed by Rome, and the region was then re-established as the province of Africa Proconsularis. 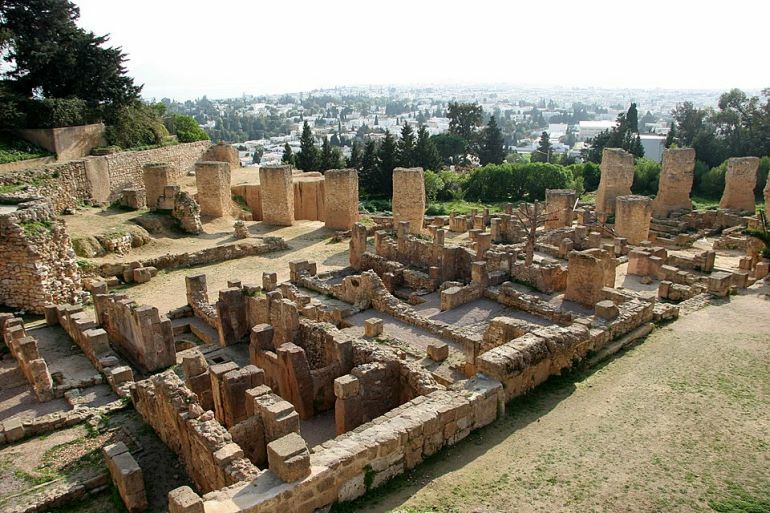 Fortunately, the city of Carthage survived in various forms, with its post-war significance as a strategic hub of transporting grains, and its later re-emergence as a major Roman city during the Roman empire phase. At one point in early 4th century AD, Carthage was even chosen as a capital by the usurper, Domitius Alexander, while the later centuries followed with the city taking up a prominent position in the Byzantine Exarchate (until overtaken by Tunis, after the Arab conquests). But according to a curious Associated Press archive, even in the aftermath of the Third Punic War, the peace treaty was never signed between the two factions. That is until late 20th century, when a formalized treaty was signed amidst much fanfare, in a government villa by Ugo Vetere, the then-mayor of Rome, and Chedli Klibi, then-mayor of modern Carthage. In fact, the treaty (signed in February, 1985) was accompanied by other ‘practical’ pacts of modern-day friendship and cooperation, with the original notion being in the works since the 1960’s. So simply put, this odd affair suggests that the Third Punic War fought between the two cities had ‘technically’ raged on for over 2,000 years! 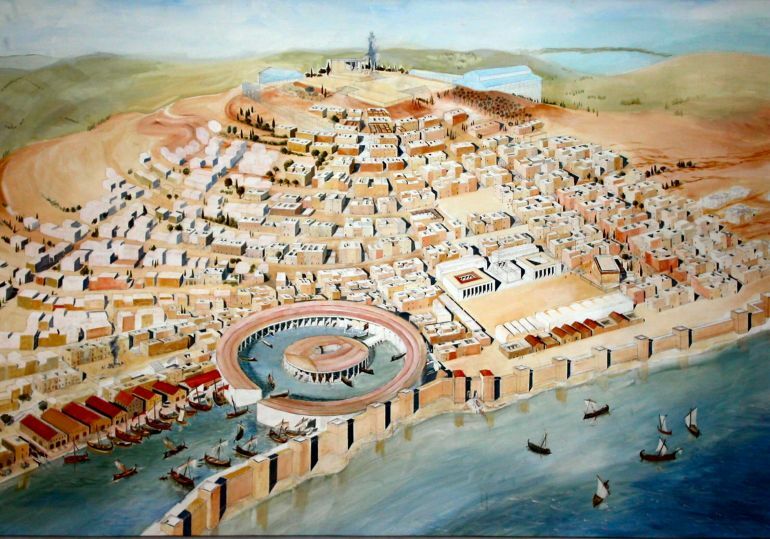 Ancient Carthage with its pronounced ‘cothon’ harbor. Now in case you are wondering, modern-day Carthage is still an affluent residential suburb of the capital city of Tunis, in Tunisia – with an estimated population of over 21,000 people. The modern-day infrastructure, which also boasts late Habib Bourguiba’s (a Tunisian statesman and ex-president) seafront palace, accompanies the ancient ruins that have been thoroughly analysed over the past decades. Incredibly enough, the relatively unrestricted levels of access offered by the local government has rather allowed Carthage to thrive once again, with the sea-side suburb genuinely attracting many tourists. Carthage ruins with the modern suburb in the backdrop.